Today morning 8’o clock, Mahul MHADA (Mumbai Housing and Area Development Authority) Building number 14 caught blazing fire, allegedly from an electricity short-circuit. The fire engulfed as many as 3 floors of the building, affecting 100 families (each floor with 34 flats). The people stuck in the fire were rescued by the residents of the area, and there has been no news of casualty. As of filing this report, there are fresh and yet to be confirmed reports of another fire breakout in Building number 15. This is not the first time for Mahul. 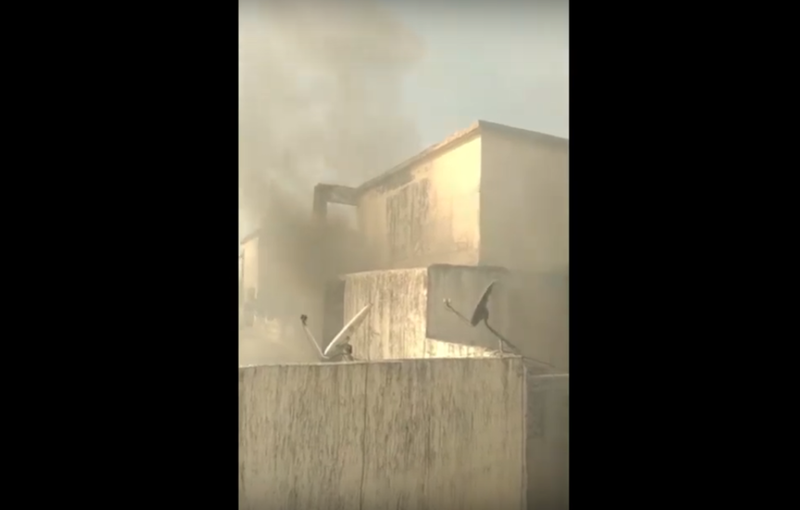 There have been previous short-circuit led fires in these buildings, but according to the residents, the administration has always ignored their appeals for proper steps to prevent such accidents. Last August, a major fire had broken out at the Bharat Petroleum pump at Mahul following an explosion, injuring 41 people. “All our buildings started shaking because of the huge blast. We thought we will die. We are caught between the creek on the one side, and these dangerous factories on the other. If such explosions happen again, the cheaply constructed SRA (Slum Rehabilitation Authority) buildings might even collapse. There will be no one who can save our lives,” said one of the Mahul residents while recollecting the blast. 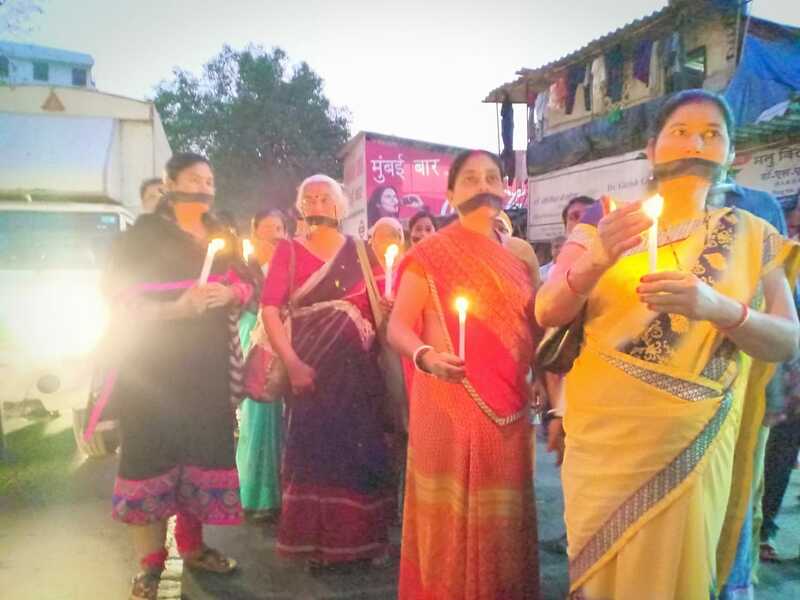 Mumbai’s Mahul area residents have been agitating for their rights to clean water, air, and proper safe rehabilitation for the past 3 months, but both the BJP Government and the Shiv Sena led Municipality have ignored their protests. Hundreds of Mahul residents, who are themselves displaced from various slum demolitions throughout the city, have been staging a dharna on the footpaths of Vidya Vihar area of the city, asking for proper rehabilitation as per law. Mahul (near Trombay), a center of Mumbai’s petrochemical industry, is one of the most critically polluted areas in the country. There have been regular deaths of residents in these rehabilitation buildings, reportedly from severe air and water pollution. Despite a High Court ultimatum asking the State Government to immediately rehabilitate the residents, and despite the Government’s own initial promises of providing at least 300 homes to the residents somewhere inside the city, according to latest updates the housing authorities in the city have gone back on their earlier proposal. In a meeting that was supposed to take place on 6th February between the authorities and representatives from the Jeevan Bachao Andolan, no representative from any housing agency showed up. In response to calls from the residents, the Municipal Commissioner reportedly said that they “forgot to organize the meeting today”. This agitated the residents of Mahul who had come in large numbers, hoping for allocation of houses. Faced with public anger, the Commissioner finally called for a meeting with the representatives of the residents. In the meeting conducted under a heavy presence of police, the Commissioner declared that the Mumbai Metropolitan Region Development Authority (MMRDA) and the Slum Rehabilitation Authority (SRA) have houses but those are “reserved for affected persons from other future projects”, another housing authority Shivshahi have only 10 houses, and the 300 houses of Mumbai Housing and Area Development Authority (MHADA) can be allotted only after MHADA decides to allot these houses permanently. In short, the agitating residents of Mahul are back on the footpaths, and there is no sight of proper rehabilitation in near future. Mahul Residents show Black Flag to CM Fadnavis.